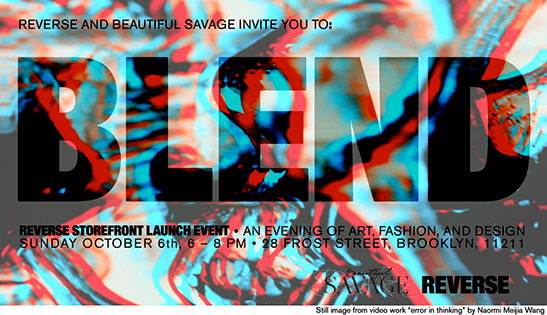 To launch our newest initiative, the REVERSE Storefront, we have paired with Beautiful Savage for an evening that will blend the vision of independent designers, stylists, and the artists featured at our storefront. Styled by Rowshana Jackson, BLEND will be a unique experience that highlights and blurs the the intersection of fashion, design, and art. Visuals by: Naomi Meijia Wang.